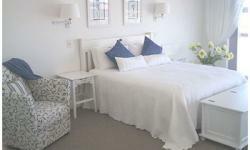 The Gulls Bed and Breakfast located in Yzerfontein is a luxurious sea-side B&B and Self Catering Accommodation located in the picturesque village along the Western Cape West Coast Route in South Africa. The Gulls is only 500m from the famous Sixteen Mile Beach. It is the perfect place for a weekend getaway, a wonderful place to rest during your leave and the ideal place from which to explore the simplicity and natural beauty of South Africa's West Coast. 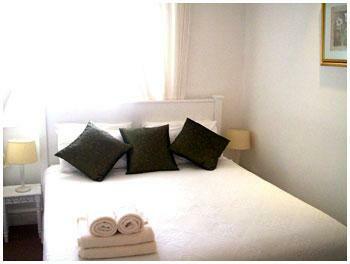 Guests will be assured of absolute comfort in the spacious, tastefully furnished accommodation. Your host is a qualified tour guide and he is always happy to share his knowledge and expertise with his guests. 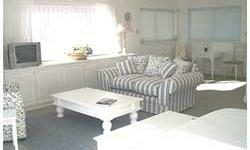 * Open plan lounge, equipped kitchenette and dining area. 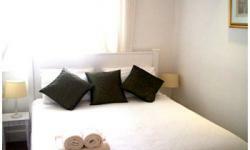 West Coast National Park, Buffelsfontein Game Reserve, !Khwa Ttu (San Cultural Centre), Darling Wine Route and cellars. Within 35 minutes drive one can find the world famous West Coast Fossil Park, as well as Langebaan Lagoon and town. Situated on the West Coast, Yzerfontein village is at close proximity of the Darling Wine Experience Route, where a number of award winning wine producers are found. 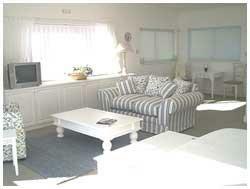 Many surfers, wind surfers and fisherman visit Yzerfontein all year round. After a mere 15 minute drive, the visitor can reach the West Coast National Park, which includes the famous Langebaan Lagoon, offering in its coves abundant bird life. Buffelsfontein Game and Nature Reserve have a wide variety of antelopes as well as giraffes, zebras, buffalos and many other animals can be observed. In the same area also found is the very interesting !Khwa Ttu Cultural and Education Centre, where San handicrafts products and articles of their everyday life can be found. This is one of the oldest existing cultures in the world. The San people were the first inhabitants of the southern part of Africa, thanks to their ability to adapt to extreme conditions. Just over an hours drive from Yzerfontein, is the famous West Coast Fossil Park. Tours of the Fossil Park are organized on a daily basis. 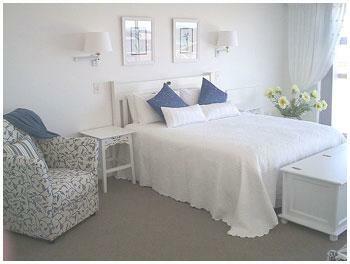 Langebaan Lagoon and Village can be reached after a short drive from the Fossil Park. Many restaurants and holiday resorts line the Beaches of this lovely destination. Whales enter the bay to calve in the summer months and can regularly be seen breaching and Swimming undisturbed in the protected waters. Mainly Southern Right whales in pods of up to eight pass back and forth along the coast providing many excellent viewing opportunities throughout almost the whole year. The famous "16 Mile Beach", a broad stretch of the softest white sand, extends to the West Coast National Park there is no overcrowding here, just space to absorb the natural beauty and to experience freedom. A small craft harbour in the bay is used as a safe launch site by recreational boat owners and commercial fisherman who catch snoek, yellowtail and crayfish.